Home / Bubs, Kids, & Teens / Improving Australian children’s health – 1 step at a time! If you’ve been a follower of sorella & me for a while, you will already know we value the work of the Murdoch Childrens Research Institute. The Murdoch Childrens Research Institute works towards “finding preventions and treatments for hundreds of common and rare childhood illnesses, so that kids everywhere can have a healthy future”. Such critical work requires community support and donations. So we want to make sure you know all about their latest fundraiser: Step-a-thon! Step-a-thon is a national campaign for primary school children to encourage them to be active, and make a difference by supporting research that keeps kids everywhere healthy and active. Step-a-thon will take place over the 2nd-8th of September, where the participants will ‘count their steps’ and raise important funds for the Institute’s ongoing research. 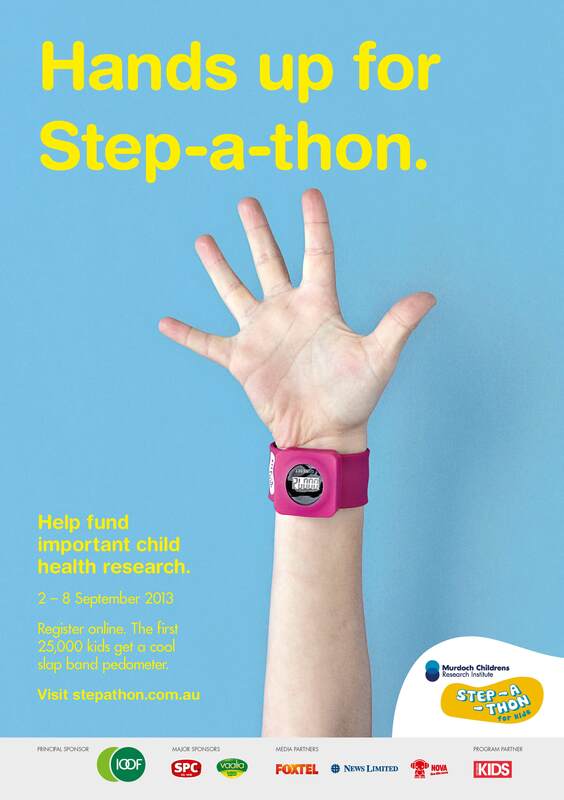 To register your child to join Step-a-thon click here. Why not get your child’s class or even the whole school involved? To support the campaign through a donation, click here. You can find out more about the Murdoch Children’s Research Institute from our previous blog post, or go direct to their website here. If you’d like to support the work of the Institute, whether that be by volunteering, donating, or providing corporate support – I’m sure they would love to hear from you! Good luck to all the children participating! Happy Stepping!